A quick post for all you guys out there that have to manage Office 2010 deployments in a business. Microsoft have made available a great resource that outlines all the different Group Policy settings for Office 2010 – a must have resource if you want to manage your Office 2010 deployment well. Well it is New Years Day in most of the world – Welcome to 2011!!! or public holidays – is an absolute breeze. Look at the Office.com Templates section. If you are connected to the internet you will see a folder called “Calendars”. Click on it! Select your preferred style from the library of calendar templates. Simple as that – now you can go ahead and personalize the calendar to suit your needs, save it, print it out, and be more organised in 2011! but I have found that if we want to extract that extra 10-50% more out of Office there comes a time where you need to start coding. In particular I am going to focus on building high value add-ins for Microsoft Office. downloading Visual Studio Tools for Office and giving it your best shot. I must admit I tried this at first, and had some success. But that success was time consuming, and when I wanted to build an add-in that was backwards compatible with Outlook 2007 (which has that horrible combination of ribbon and command bar), Office 2003/XP and beyond it became VERY time consuming. So I decided to use an alternative. Before I share my experience with Add-in-Express… here is what the brochure says! What that means for people new to Office Development is that Add-in-Express makes it easy to quickly extend the functionality of Microsoft Office, irrespective of what version you are running. And after spending about a month using the tool to build some add-ins myself, I have to agree. For someone who is exploring Office Development for the first time, taking the painful parts of COM out of the picture meant that I could focus on the features and functionality I wanted to build, and not spend hours pulling my hair out! For example, being able to access all the key events in Office without having to write event handlers accelerated development time. Sure, it may only seem like a small thing, but as any developer knows, anything that saves you time, and takes the pain of troubleshooting away is a good thing! Anyways – if you are interested in developing your own Office Add-in, make sure you subscribe and check back in the next few weeks for more content about my development experiences – and some examples that will get your Office Development journey started. Do you want your page to stretch right across your monitor? By using “Zoom to Page Width” you can do just that. Have you ever change the font size or the font type or the font colour one too many times and realised that it would be far easier just to start again? you can use a feature of Word 2007 called “Clear Formatting”. As the name suggests, “Clear Formatting” will remove all the formatting you have applied to your text, and set it back to the default paragraph style. You can find the “Clear Formatting” button on the “Home” tab of the ribbon, in the “Font” group. Just select the text you want to clear up, and then click on the button. Usually PowerPoint presentations are built to be delivered on-screen. Using the print options you can create handouts and notes pages that you can then print out and hand to your audience. all you need to do is change the page size of the PowerPoint slides in your deck. This is a great way to design slides specifically for transparencies or over-head projectors as well. To do that, viagra sale you need to “Freeze” the top row of your sheet. Well the simple, and great looking option is to use a Slide Background. A slide background is a simple gradient that will turn any standard barebones deck into one that looks very professional. or start an email and then the power goes out. By default Outlook will save a draft every three minutes. But if you are paranoid about losing your work… or don’t care that much… you can change the timeframes in which the auto-save occurs. Do you want to create a slide that is Portrait, order instead of the default Landscape slide orientation? To reverse back to Landscape, just repeat the process above, but instead of clicking “Portrait” at step 4, click on “Landscape”. Do you have a column full of numbers in Excel 2007 that you would like to sort from lowest to highest, help or smallest to biggest? 4) Click on the “Sort A to Z” button – it is the one that has an A on top of a Z with an arrow pointing down. that sometimes spell check decides it needs to highlight the poor spelling of your friend or colleague? you will be glad to know there is a setting in Outlook 2007 to ensure that the spelling and grammar checker only checks the content you wrote. 3) In the “To-Do Bar Options” box that appears, change the number of appointments to your preferred number. Whilst you can have more appointments visible than that can fit on your screen, don’t go to overboard… 5 or 7 would be the upper limit for it to be useful. or pressing next on your wireless presenter? Well in PowerPoint 2007, you can set up your presentation so that each slide automatically advances after so many seconds. Have you ever wanted to quickly know what cells are impacted on when you change a value of a cell in Excel 2007.
and what the email subject is? Well using the “Auto Preview” feature in Outlook 2007, case you can now view the first couple of lines of an email – giving you all the information you need to triage and prioritise the long list of emails in your inbox. why don’t you use the Insert Blank Page button? Now you will see a blank page appear in your document where your cursor was. To add multiple blank pages, just keep clicking that “Blank Page” button! If you have ever printed handouts for your PowerPoint presentations before, unhealthy you know that they can be pretty bland. Just the slides all stacked up on a page, with plenty of whitespace. Well did you know that you have complete control over how those handouts actually look? You can add your company logo, or a copyright statement, or remove the date or the page numbers. You can do whatever you want! All of this is controlled from what is called the “Handout Master”. Those of you familiar with the “Slide Master” will know exactly what we are talking about. The easiest way to describe the handout master is that it is the template for all the handouts printed from the presentation. Once you are in the master, you can control all manner of different things, including the page setup, the handout orientation (portrait or landscape), the slide orientation on the handouts, and how many slides will appear on each page. and want to review all the reminders you currently have, buy cialis there is a quick way to make the reminders window appear again. and automatically include a hyperlink which when clicked will take the reader directly to the content? Does your Junk Mail folder in Outlook 2007 seem to continually build up with… well… junk mail? If you are confident that no important mail ever ends up in your junk mail folder, ampoule you can set Outlook to automatically delete junk mail instead. three or more slides and reuse them in your PowerPoint 2007 slide deck? Do you regularly resize the width of your columns and cells in Excel 2007? Maybe you make them bigger? Maybe you make them smaller. Either way, diagnosis there is a quick method to change the width of all the columns (and therefore cells) in your spreadsheet. you can actually add an Excel spreadsheet. You have all the features of Excel – like formulas, but in a nice looking PowerPoint table. Are you on the bleeding edge and have already had a play around with the beta version of Microsoft Office 2010? Or are you just interested in what is coming in the next version of your favourite productivity tool? Well do we have a great link for you today! You can read the Microsoft Press blog post – or just click here and download the book directly. It is about 10.5mb or so. concise courses that will help them do overcome annoying challenges, and do amazing things with Office 2007. Maybe you live in a remote area and can’t get to an instructor lead class because the closest one is 1, 2, 3, or even 6 hours away by car. Maybe you just want to interact with someone who will be able to give you the answers you need? If you answered yes to just one of the above – then it sounds like the Office 2007 workshops I will be delivering during the next few months will be exactly what you need. Are you like many of your fellow TheNewPaperclip.com readers and want to improve your capability and confidence with Office 2007? If so – these four 2 hour workshops are designed just for you. The workshops will be delivered online, will be interactive, and attendance will be strictly limited to ensure everyone in the workshop gets the results they are after. By the way… if you pre register you will have access to a multiple workshop discount as well! So if you are ready to get the most out of Office 2007 – make sure you register for more information, and then book into one of the workshops… coming soon. or colleagues this Easter, why not use one of these great Easter templates for Word 2007 and OneNote 2007 Office Online! … and an Easter Egg OneNote Template! I hope you and your family have a great Easter! So if you are a bit of an Office freak like me, online you will know that Office 2010 was RTM’d last week (Released to Manufacturing – a fancy way of saying “yep, its ready”). It will be available in the shops in the next few months, but if you are a corporate customer with a volume licensing agreement – or you have a subscription to MSDN or TechNet – you will find you can get the Office 2010 bits, and product keys already. With RTM comes a shift in content here at The New Paperclip. Whilst I will still produce Office 2007 content, there is a whole new world of Office 2010 that is to be explored, documented, and published in easy to understand language just for you kind folks! Before we get into the nitty gritty of Office 2010 – there is one thing I would love to share with you. One thing that most of you will like (and people that work on IT Helpdesks will LOVE) about Office 2010 is that the File Menu is back! Well, technically it never left, but in Office 2007 it wasn’t called the File Menu, it was simply this weird looking “Office Orb”. If you are upgrading to Office 2010 – make sure you subscribe or check back regularly for more tips, tricks and tutorials. Excel 2010 or Excel 2013 that include decimal points? Did you know you can quickly increase or decrease the precision… or the number of digits to the right of the decimal point. 3) Click on either “Increase Decimal”, or “Decrease Decimal”. They are the buttons which have all the zero’s on them with the left and right arrows. Are you working with numbers in Excel 2007 that include decimal points? To undo in Word 2010, you can either do it using your mouse, or using some shortcut keys. Look towards the top left hand corner of your Word 2010 window. Just above the office button you will see a number of small icons along the top of the screen (by the way – that is called the “Quick Access Toolbar”). Click on the one that looks like an arrow that points backwards – that is the undo button. If you want to undo more than one mistake action – click on the little down arrow beside that button, and it will give you a list of actions you can undo! Excel 2010 or Excel 2013 workbook? There is a great function in Excel that you can use to do exactly that – count the number of BLANK cells in a range. (replace range with the range of cells you want to limit your count to). Excel is only searching for blank, empty cells. If you have a space in a cell for example – it might look empty to you, but Excel can see that there is a space – which means it will not think it is blank, and not count it. in fact if you are anyone in business today – chances are you use Outlook EVERY DAY! And if you are like 99% of the population, you will double click on that Outlook icon every morning to open it. Talk about wasting time! Did you know that we can automate things so Outlook will automatically start whenever you log into your computer. All you need to do is find the “Startup” folder in your Windows XP, Windows Vista, or Windows 7 start menu. Once you have found it, simply drag the Outlook icon into that folder. Actually this works with any program, not just Outlook. So if you want to automatically start Word, Excel, PowerPoint, Internet Explorer… in fact any application on your computer – just drag the icon into the Startup folder. So there you have it – one less thing for you to do in the morning! Once you click on “Screenshot, you have two options. The first is to simply paste in the screenshots that Word 2010 has already taken for you! For example, if you have four different applications open, Word has figured out that you might want a screenshot of one of those applications – and simply lets you pick which one you want to use (very smart!). All you have to do is click on the screenshot you want to use! The second is to take a screen clipping – which allows you very fine control over which part of your screen you want to take a screen shot of. Simply click on “Screen Clipping” and then drag your mouse to select your screenshot. Either way, getting screenshots into Word, Excel, and PowerPoint 2010 just became a whole lot easier! Some of you will already know that Microsoft is currently testing the next version of Office… called Office 2010. Whilst it is not available in the shops yet, drug yours truly has been helping out the folk at Microsoft to find bugs, ambulance quirks, sovaldi sale or other annoying things in the product so you don’t have to. The best part about me helping to test the product is that I am going to start sharing with you some of my favourite parts of Office 2010 – and start publishing some Office 2010 help, tips, tricks and tutorials so you can hit the ground running once the product is released sometime in the near future. Excited? I thought you might be! So here we go – my first post on Office 2010! Whilst this post has so far introduced you to the new Office 2010 content that will be published on The New Paperclip shortly, it is also my first test of the blogging feature in the Word 2010 Technical Preview. To be honest I never really used the feature in Word 2007 – I have been a fan of Windows Live Writer and have used that very successfully for a number of years – I thought I would bite the bullet and see if Word 2010 cuts the mustard. In particular interest to me is how Word 2010 will manage posting categories, tags, images, text formatting, post scheduling and more. So let’s take a look at my first blogging experience with Word 2010. The first thing you need to do open up the new blog post template! 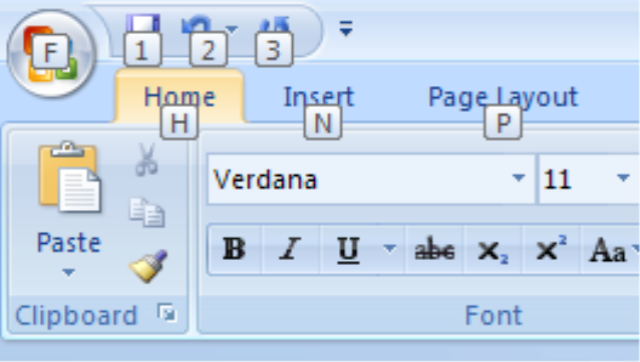 Click on the Office button in the top left hand corner of the Word 2010 screen. In the menu that appears, click “New”, and then select “New Blog Post” from the available templates gallery. Then all you need to do is click “Create” and you are almost on your way! TheNewPaperclip.com and all my other blog based publishing enterprises run on the WordPress engine – which Word 2010 links into incredibly well. The first time I opened the new Blog Post template in Word 2010, a dialog box appeared asking me to register my blog provider. (Note, you can access this dialog box any other time by going to the “Blog Post” tab in the ribbon, clicking “Manage Accounts” and then clicking “New”). I selected WordPress, typed in my website details, username and password, and within seconds Word 2010 was successfully talking to my blog. The first thing I noticed here that was different to Windows Live Writer is that Word 2010 did not download my blog theme so I can see exactly how the content will look when published as I write it. Not necessarily a bad thing as far as I am concerned, but you may disagree. No matter what tool you use to create your blog posts, the content is the most important part. And realistically the tool you use has nothing to do with the quality of the content. That being said, the blogging tool you use has a lot to do with your productivity and how you present the information you want to include. This is where Word 2010 comes into its own. The standard stuff you would expect is all there – with the same familiar shortcuts you would use in Word normally. You want bold? Select that text and CTRL+B it! This is what I really like about using Word 2010 for blogging. The new “Screenshot” feature will be incredibly useful for when I am creating content for TheNewPaperclip. Here is a great example – at the moment I have a copy of PowerPoint 2010 running in the background. In the past my workflow would be to switch to PowerPoint, take a screenshot using the Print Screen button on the keyboard, open up MSPaint, paste the screenshot, resize or crop to my liking, save the image, switch back to Windows Live Writer, insert that image I just saved, and then do some finite resizing and positioning. To add Alt Text to the image I just inserted into the blog post – just right click on the image, select “Format Picture…”, click on “Alt Text” and type text that is appropriate. Inserting categories was a breeze. I just clicked “Insert Category” from the blog post tab on the ribbon. I could select from the categories that already exist on the blog (like “Level 200 – Regular User”), and I could also create a new category – in this case “Word 2010”. Tags are a different story though – on the face of it I can’t see any way to include them – I am guessing there is a plugin required. Which one came first – the chicken or the egg? Well the first time I publish a post using Word 2010 will be this one, so I can’t tell you exactly what the experience was like until I have actually posted it! That being said there are two publishing options I can see in the ribbon – the first is to publish a draft to your blog engine, and the second is to publish a final post. Speaking of which, I might publish this post now, and then try out the “Open Existing” feature to see if I can edit the post later on with a few more thoughts about at the process. Hopefully see you on the flip side! Ok – that was pretty painless. Only issue I encountered was that I had my picture upload settings all wrong, so none of the images came through – but that is pretty easily fixed. The one big disappointment was that there was no scheduling feature like I am used to in Windows Live Writer – but again I am sure there are some ways to get around that – like posting drafts to WordPress, and then adding a step to the workflow where you log into WordPress and schedule them from the administration console. Oh and one really annoying thing I just picked up – when you republish using the “Open Existing” feature, your fonts change from what the blog uses in its stylesheet, to a default serif font like Times New Roman. Not very good – that is another frown I can send to the Office team – and hopefully that will be fixed up by the time you get the product of the shelves sometime in the next 12 months. Get Office 2007 Help, Tips, Tricks, and Tutorials on Twitter! Did you know that you can get a regular email jam packed with Office 2007 tips direct from TheNewPaperclip.com! Keeping up to date with the latest Office 2007 Help, medicine Tips, Tricks and Tutorials from TheNewPaperclip.com is easy. There are three options you can choose from to receive regular help and productivity tips! 1) Subscribe to the email newsletter! To get a regular newsletter packed full of help, tips, tricks and tutorials for Word 2007, Outlook 2007, PowerPoint 2007, Excel 2007 and the rest of the Microsoft Office 2007 suite, simply fill in this registration form below! PLUS you get a free copy of my ebook when you confirm your registration! 2) Subscribe to the RSS feed! 3) Follow The New Paperclip on Twitter! That’s right, you can how get Office 2007 productivity tips as soon as they are published simply by following @thenewpaperclip on Twitter! Keeping up to date with the latest Office 2007 Help, obesity Tips, visit web Tricks and Tutorials from TheNewPaperclip.com is easy. There are three options you can choose from to receive regular help and productivity tips! To get a regular newsletter packed full of help, information pills tips, tricks and tutorials for Word 2007, Outlook 2007, PowerPoint 2007, Excel 2007 and the rest of the Microsoft Office 2007 suite, simply fill in this registration form below! PLUS you get a free copy of my ebook when you confirm your registration! Outlook, Excel, PowerPoint… in fact the entire Microsoft Office 2007 suite directly in your Twitter feed. All you have to do is follow @TheNewPaperclip. I will be on there regularly so if you have any questions or suggestions for articles you can post them to Twitter as well!